Music videos are some of the most viewed videos on different video sharing sites like YouTube. These are not just official music videos of professional artists; but there are also music videos created by aspiring musicians who would like to share their music online. 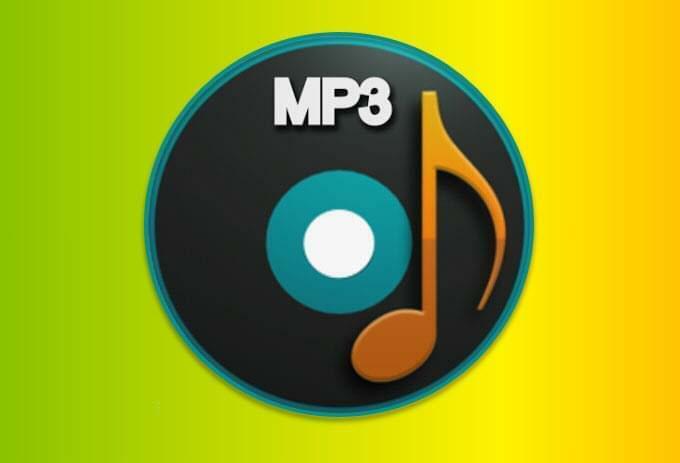 You can download and convert a music video to mp3 in case you wish to listen to the song on your computer without accessing the site or you would like to save it to your mp3 player or mobile device. While most of these sites do not offer a download option, you can use other applications to download and convert music video to mp3. There are online applications that you can use for downloading music videos and converting them to mp3. One of them is MP3Grabber. You need to have your java enabled in order to use this tool. Go to the music video that you wish to convert, copy the URL of the video and paste it on the blank field above the green Grab It button. It takes a bit time to load the java applet but once done, you will be taken to a page where you can select the output format of the video. If you wish to convert to mp3 then choose the said format. Other formats supported are WAV, WMA, AAC, FLAC, OGG and RA. Click the download button to begin the conversion and download the file. However, this free music video to mp3 tool is only applicable to some video sites that stream through http protocol like YouTube, Dailymotion, etc. But if you want to save music from protected video content sites, you can try the second method. Apowersoft Streaming Audio Recorder is another program that you can use to convert music video or any type of video from various sites to mp3 and other audio formats. Free trial is available, which you can take advantage to test its features before spending your cash to buy the full version. But you would surely want to get the full version since you find your money will be worth the purchase as it offers several great features that you will love and find helpful. Even if you do not have previous background on how to convert music videos to mp3, you will find it effortless to do with this tool because of its simple and easy to understand user interface. It records any sounds playing on your computer or captured from the microphone. Play the music video you wish to convert and click the record button on the audio recorder and it will start recording. Click the off button once done recording. The files are automatically saved to mp3 so there’s no need to convert if this is the format you want to use. Right click on the recorded file and you will get different options including rename, play, edit, etc. It can also convert video saved from your local computer. If you are a music lover, you will enjoy its free music downloader and the feature to stream radio stations online. Another feature that has been added to this application is ID3 tag function. 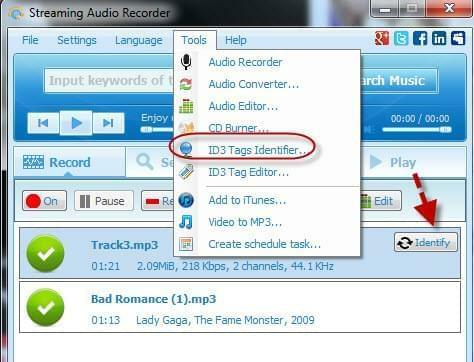 As soon as the recording is complete, its auto-identify tool will automatically tag the title, album, artist, genre and other information available on the music video so you don’t have to enter this manually on your own. Here are some of the video sharing sites where you can watch music videos, as well as other types of videos. 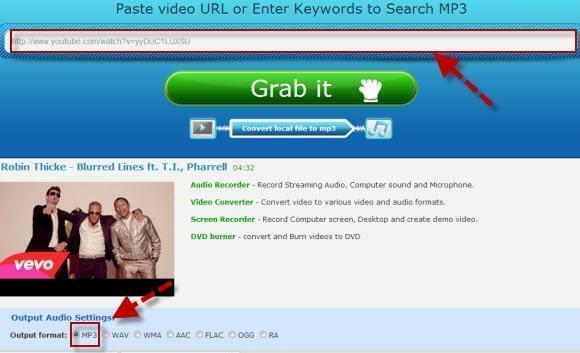 These are just some of the sites where you can use the music video to mp3 converter provided above. YouTube – is the most popular video sharing site where you can watch videos uploaded by users. However, you need to be a member in order to comment on videos and upload your own videos. Vevo – this is where you can watch videos from EMI, Sony Music Entertainment and Universal Music Group. MySpace – is a social networking site that emphasizes on music. MTV – is a site where you can watch music videos, as well as shows on its channel. Music Video Genome – this site allows you to search for music videos you wish to play and queue them for viewing.